When it comes to enjoying a long relaxing soak in a beautiful freestanding bath, we believe no one, no matter how big or small they are, should miss out. If your pampered pooch or fussy feline is jealous of your gorgeous new bath, why not let them experience the joy of a jolly good soak too? 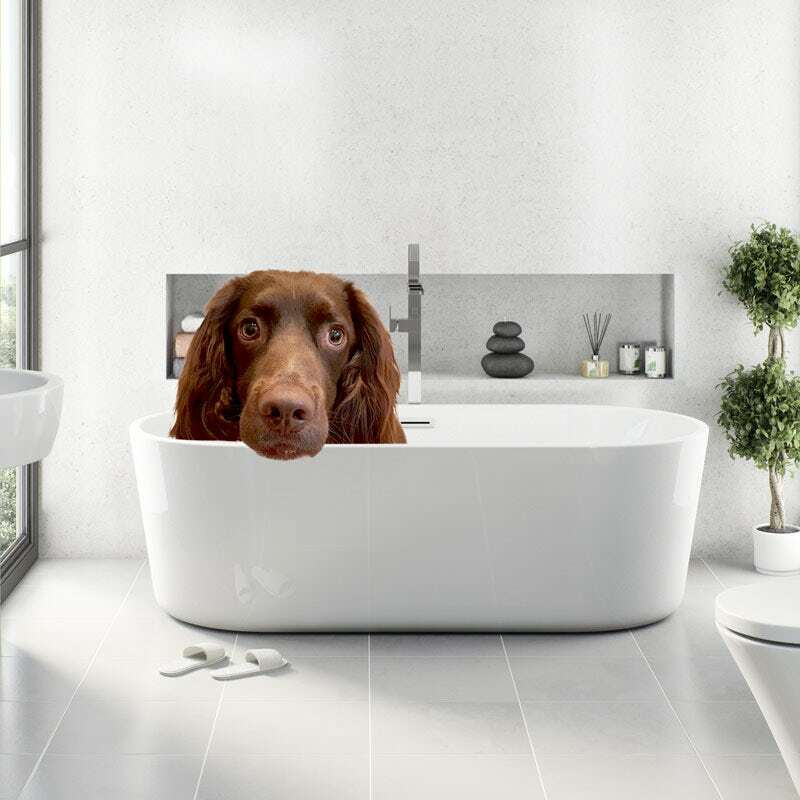 With our brand new range of practically purrfect pet baths, your furry little friend can now relax in an exact dog or cat-sized replica of your bath. Sit and watch, as they "paws" for thought in their very own bubble bath. Our model Tess loves her Dulwich back to wall roll top bath. Doesn't she look happy? VictoriaPlum.com Product Designer, Roy Ver, said "Make no bones about it, pet owners up and down the country have been hounding me day and night about these new pet baths. We've even had to employ more Boxers in the packaging team to keep up with demand." 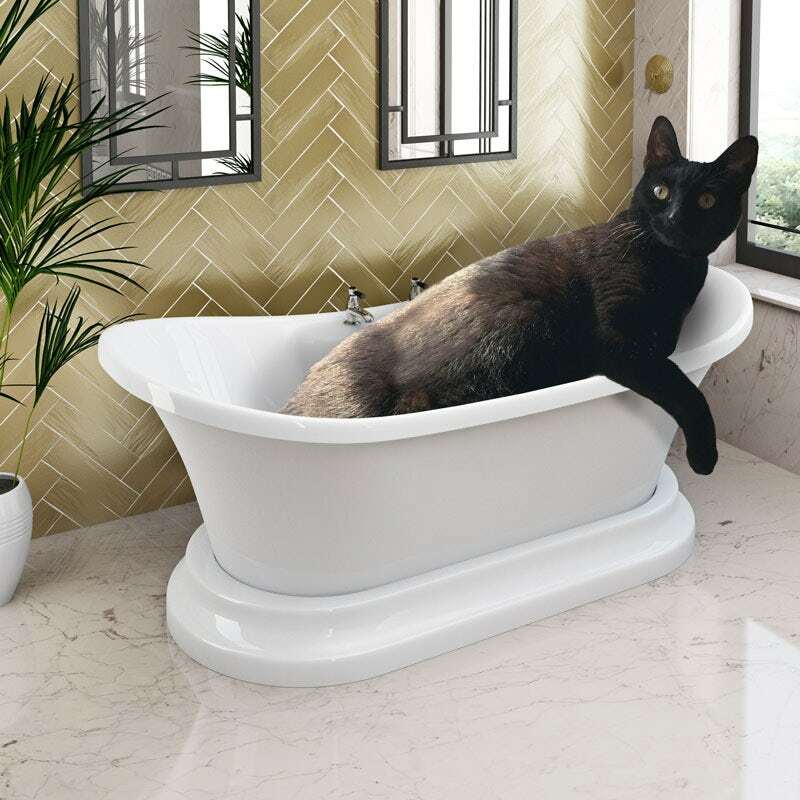 Sales Manager, Mike Itten, added: "For the discerning pet owner, these baths are absolutely purrfect. They're not just a "mice-to-have", they are essential. A bathroom without a pet bath? Now, that really would be a cat-astrophe." Winnie the Cat looks absolutely delighted to be getting a wash in her beautiful Beaumont traditional freestanding bath. Our new range of pet baths launch on the morning of 1st April and will be available soon. Thinking of buying one? Just make sure you take endless photos of it and share on Facebook, Twitter and Instagram. 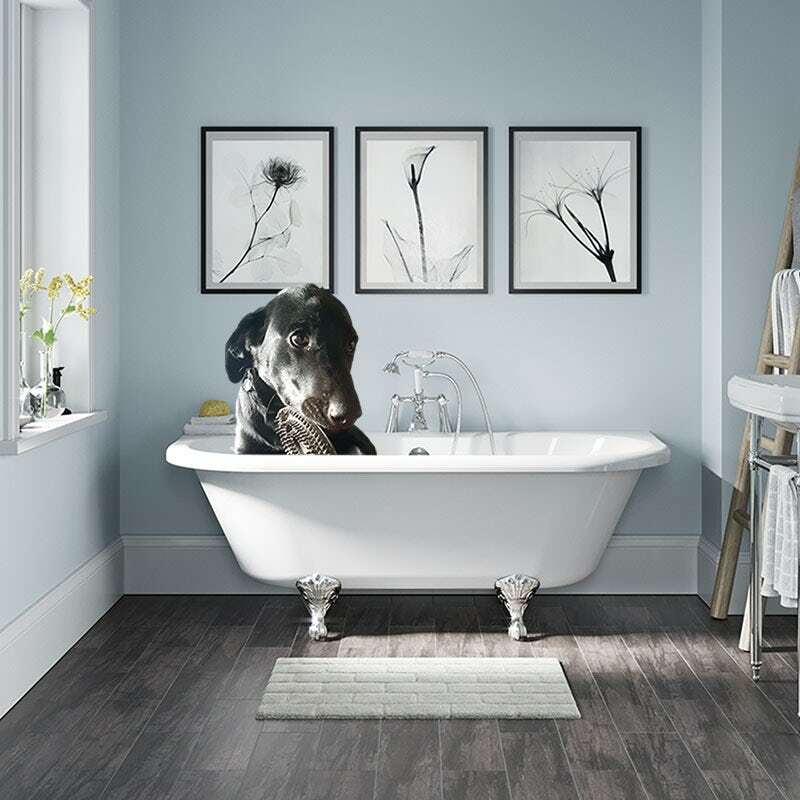 As you well know, everyone loves a good photo of a dog or cat in the bath. If you like what you’ve seen, why not browse our full range of freestanding baths, with styles and sizes to suit all types of bathroom.